Love to try it out if it had 24p. At 30p it'd make a great livestreaming camera. 24p is good to have. But if you are shooting for web, for example (including even cinematic works), 30p can be better option. I was under the impression that the VG10 was complete rubbish. 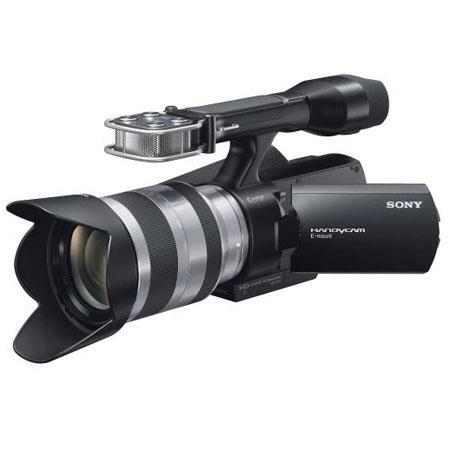 Isn't the GH2+14-140mm a better deal, even for "videographers"?. I don't realy care as I've the GH2 and I'm building my lens kit only with primes since I'm into fiction filmaking but if you get the 14-140 that has OIS and AF isn't it a better "videocamera" than NEX? 18-200mm is 14-140mm analog from Sony :-) So, same OIS and almost same AF. It is quite good solution if you want to replace your handicam, but with better image quality. You must always clear understand that so called "pros" who bash such products do not have any understanding of people needs and wishes.